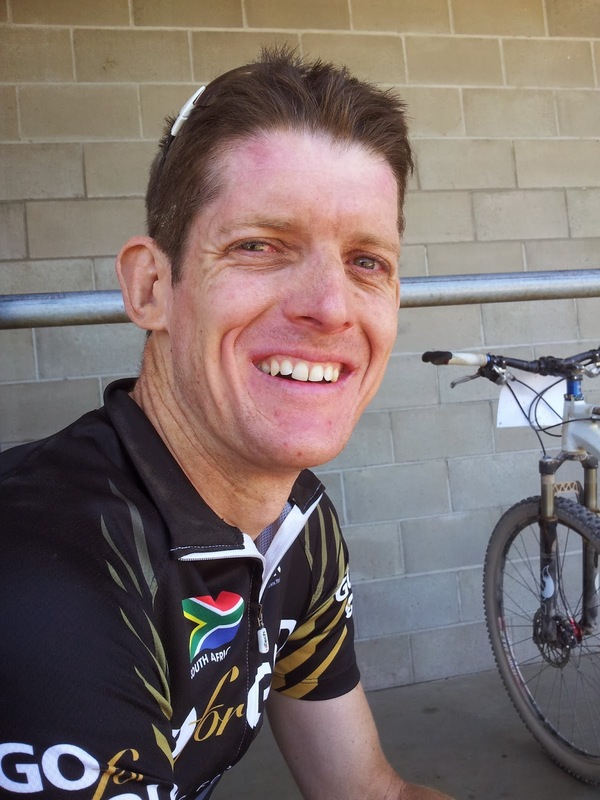 My road to the WEMBO World 24hr Solo Mountain Bike Championships didn't begin in April when I said goodbye to my friends and family in favour of spending any and all free time on my bicycle, clocking up the miles on the roads of the Western Cape. 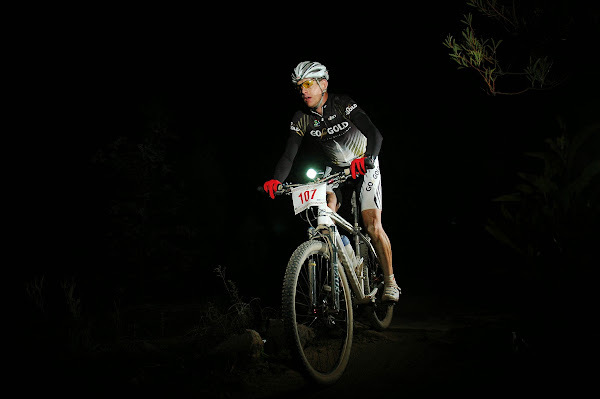 It didn't begin last year when Meurant Botha from Dirtopia and Gavin Rossouw (one of SA's top 24hr racers) managed to talk a hole in my head after winning our local 24hr event for the 3rd time, that I needed a new challenge. It began one wintery September day back in 2006 when I couldn't find enough friends to enter a team into our local 24hr event. In a moment of madness, I decided to go it alone and entered as a solo rider. Solo 24hr racing was the stuff the hard tough men of mountain biking did, not something a roadie and part time dirt lover would ever consider. Come race day and I was regretting my moment of bravado - I was so far out of my comfort zone that I was looking for any excuse not to line up on the start line. 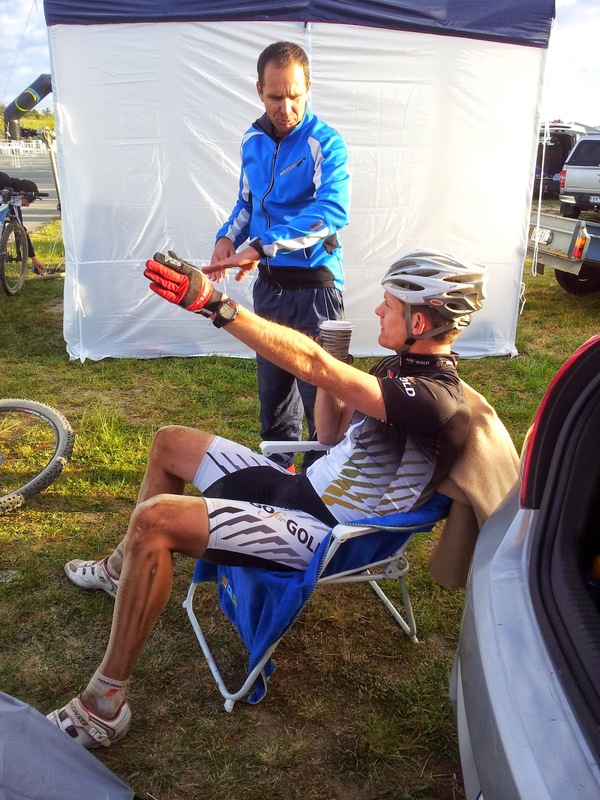 The real solo riders had pit crews, mechanics, masseuses, coffee machines, spare bikes and all the comforts. I had my wife, a flimsy green gazebo, a Raleigh MTB, and a friend with a skottle braai. They say that imitation is the sincerest form of flattery, and that was my race strategy right from the start. I found a rider going at a pace that I could handle, and I followed him. When he swapped bottles, I swapped bottles. When he ate, I ate. When he put on lights, I put on lights. When he stopped to sleep - well, I was still feeling good and kept on going. Imagine my surprise when, at around midnight, it was announced that I was the new race leader. Now what? Who did I follow and copy now? How do I defend a lead for 12 hours? I valiantly tried to hold on, but 6 hours later Gavin passed me, correcting the temporary imbalance in the universe, and restoring order. I finished in second place, having clocked up 55 laps and 355 kms, but more importantly, I’d joined the club of those hard tough men. 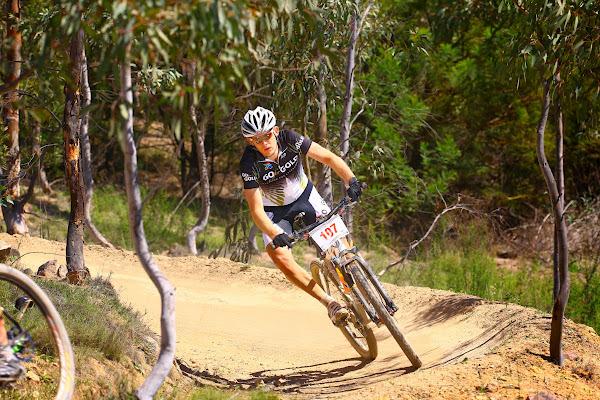 Over the years I’ve done several 24hr races, faring better at some than at others. My first win was special, as was defending the title a year later. Racing Tinker Juarez (a former 24hr World Champ) in Johannesburg was a highlight and my first test against a legend of the sport. Lining up on the start line at Mount Stromlo, a cycling nirvana on the outskirts of Canberra in Australia, for the World 24hr Solo Mountain Bike Championships reminded me a lot of my first race. I felt so out of my depth. There were guys with full pro sponsorships, fancy pit areas, entourages of supporters, nutritionists, armies of mechanics and several race bikes. 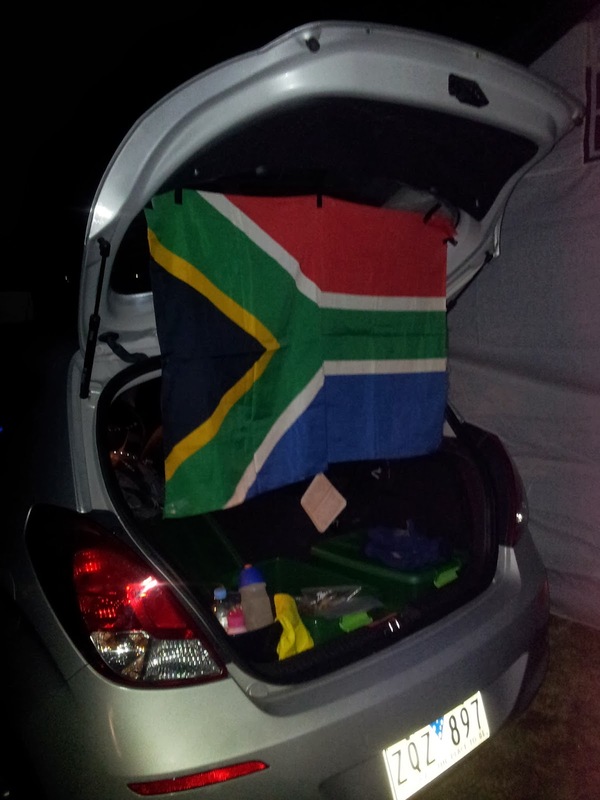 I had my wife, a $8 lawn chair, my trusty farm gate of a 29er, a South African flag, and my snacks and supplies in the back of our hire car. I might have felt like an amateur, but at least I looked racey in my Go for Gold sponsored kit. There were 270 entrants for the world champs, but in the only category that I was interested in - Male Elite - there were 27 riders from 8 countries. 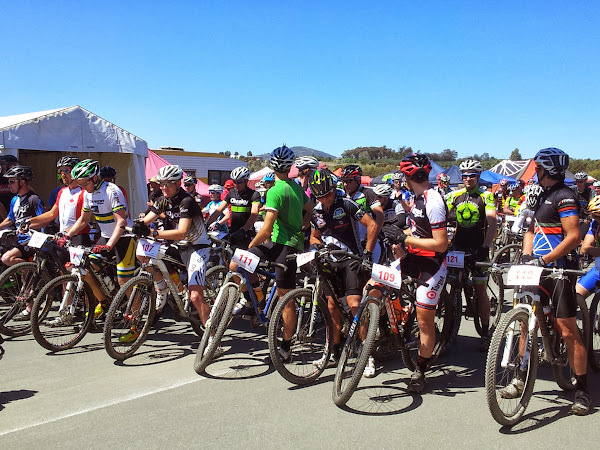 We each got called up to the start line, and somehow, I ended up next to 3 time World Champ Jason English. I’d read about him and seen him on YouTube and here I was, rubbing shoulders. The next few minutes were all a blur, and before I knew it we were off - racing. The 24 000 kms I’d clocked up in training during some of the foulest Cape winter weather had all been for this moment. I’d sold my car, missed birthday parties, and turned down that extra helping of dessert. 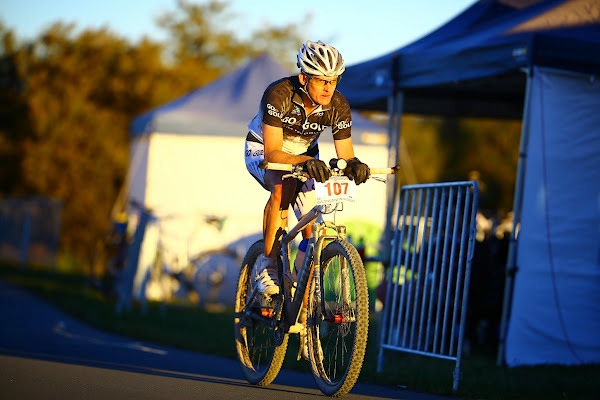 I was in the form of my life, and I was ready to see where I fitted into the global 24hr racing pecking order. Using the same race strategy that had served me so well all those years ago, I quickly found someone to follow and slowly started knocking off the laps. 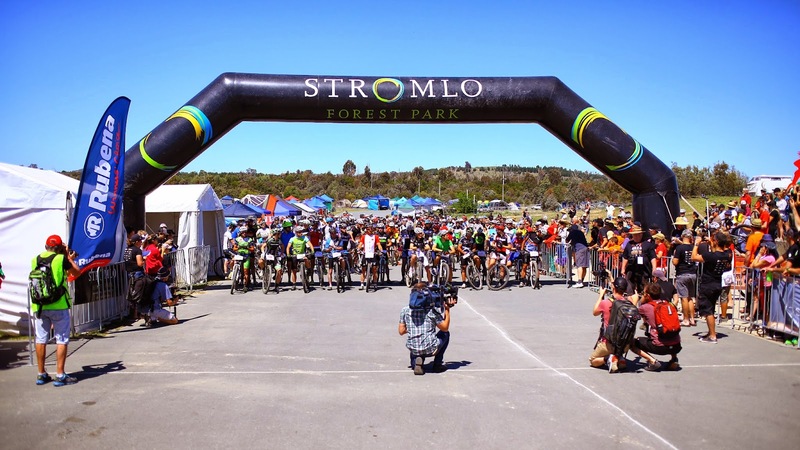 A lap at Stromlo was 16.9 kms with around 320m of climbing. And it was like nothing I've ever raced on before. There are no free sections. Every single metre of the lap has to be earned. A lapse in concentration anywhere and your race could be over. To emphasise the point, a rider had died on the course the day before the event. And it was brutal - 8 laps in and I couldn't feel my hands or feet. None of these manicured, smooth courses that us South Africans seem so obsessed about. 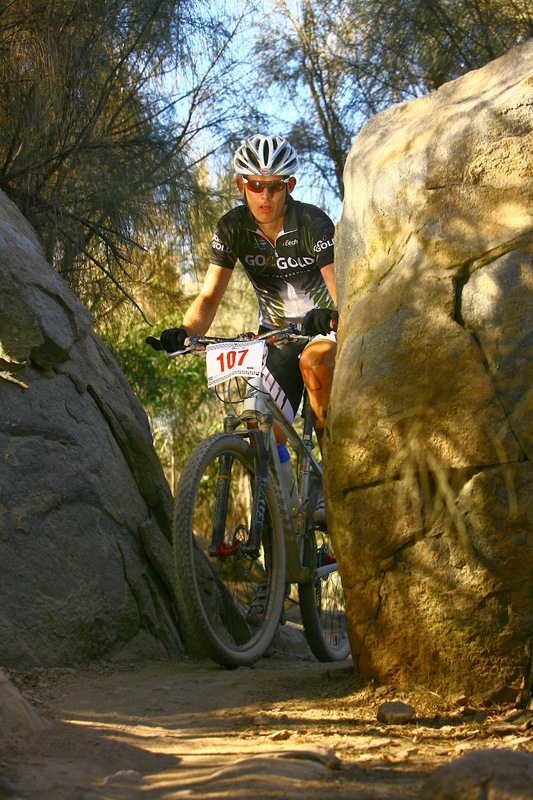 This was real mountain biking, with no chicken runs, escape lines or dumbed down sections. The only way was through or over. There wasn't a section longer than 20 seconds where you could take one hand off the bars to eat and drink. Like most 24hr races, I was ultimately racing myself - my mind in a constant battle to retain control over my body as it slowly fell apart. The cold dark laps in the early hours of the morning are the worst. You become your own worst enemy, searching for an excuse to give up, wanting just one more minute in the lawn chair under the blanket before heading out. And yet once you’re out there nothing else matters. You’re alone with your thoughts, riding your bike, worrying only about the obstacles ahead of you, illuminated by the small puddle of light from your bike light. This is why we ride bikes. This is why I travelled 10768kms to the other side of the world. Much like the people who climb Everest, we do this because we can. As South Africans we’re conditioned to hate the Aussies, and try as hard as I might, I struggled to find an Aussie that I didn’t like. Complete strangers offered all sorts of support, from backup mechanic services to just keeping my wife company in the early hours. Out on the course it was much the same thing - polite Aussies asking for track or getting out of the way when they could. 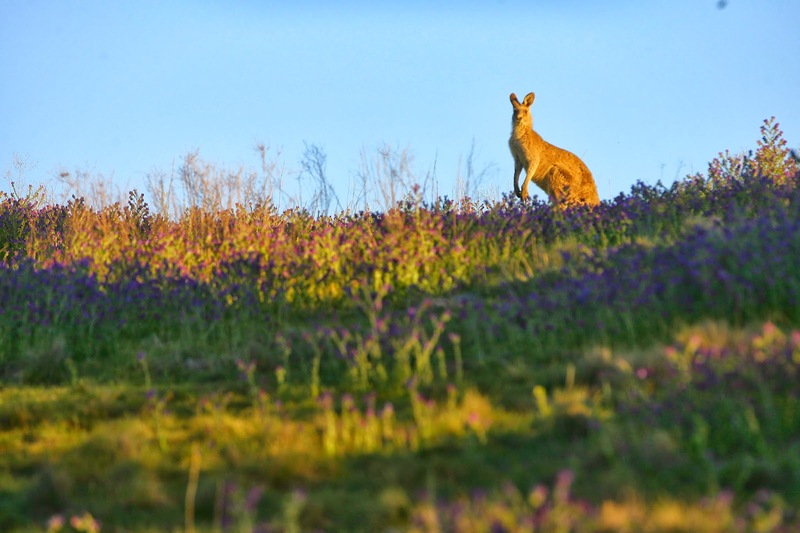 The few European riders could learn a thing or two from the Aussies about trail etiquette. With sunrise, the end seemed just a little bit closer. By now it was all about discomfort management. On the climbs my bum would be aching, on the technical sections my hands and feet would throb, and on the fast descents my back would seize up. Slowly but surely I inched towards my target of 20 laps, gradually moving up in position. 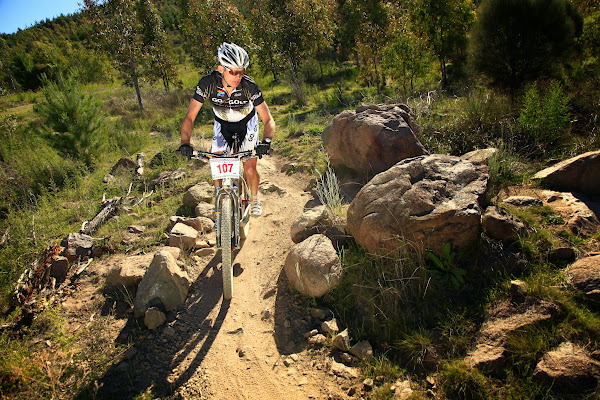 With an hour to go I was in a rather fragile looking 12th place, being hunted by the riders behind me. Yolanda, my nutritionist, mechanic, press lady and general motivator, managed to get me out for one last lap, having convinced me that the guy hunting me down was only 7 minutes behind me. In a Herculean effort I gave it everything I had left, ignoring the pain as best I could, knowing that if I could get to the final downhill section with out being passed, 12th place would be mine. With little over 8kms to go disaster struck. I could no longer ignore the pain in my back and I had to get off my bike to stretch it out. And yet my hunter still didn't appear. I made it to the final downhill, and then the finish line, and to my surprise found that I had ended in 11th place. More tellingly, there had been no hunter - the challenger had been unable to get out for one last lap. I'd ridden 21 laps in 24:17, for a total of 354.96kms. 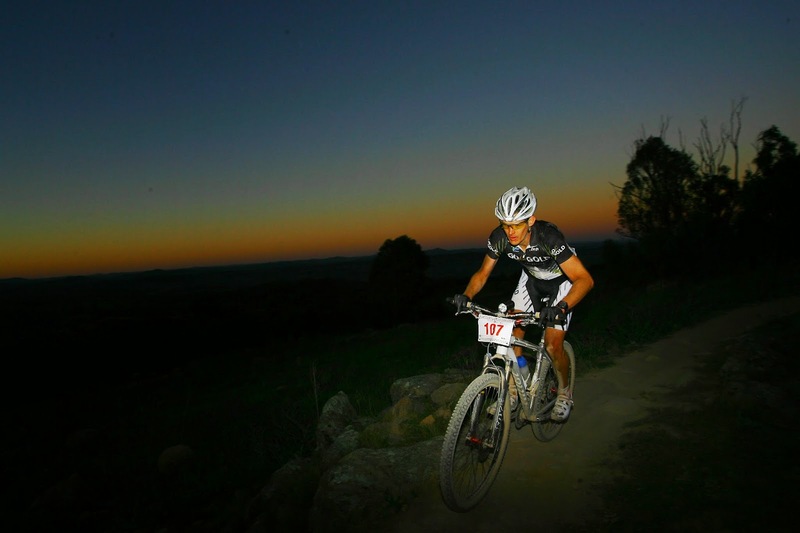 The similarity to that first 24hr race wasn't lost on me. I'd given it everything I had - I'd discovered new depths to my pain cave, places I didn't think existed. I found out just how far I could push my body, and it finally broke within sight of the finish. There were no unanswered questions, no what ifs, buts, no maybes. I now know where I stand on the global pecking list, and I have a new appreciation for the guys at the top. The last remaining challenge of the day was to get showered and cleaned up. While normally it takes 5 minutes for a decent shower - that was how long it took me just to put my underpants on. Imagine my disappointment when I discovered I had them on back to front. 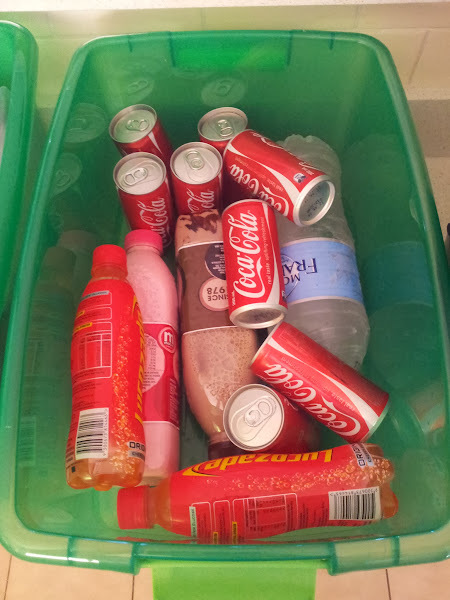 That was just something I was going to have to live with - I had neither the desire or the inclination to spend another 10 minutes sorting this problem out. We packed up our meager backup possessions into the hire car and set off in search of some fast food and the comfort of our apartment bed. This was the beginning of my retirement from 24hr solo racing. I'd ridden 354.96kms and climbed 6700m. I'd burned 19658KCal (or more than 7 times the daily recommended intake) and consumed 2 bottles of Game, 22 bottles of water, 2 litres of chocolate milk, 1 litre of strawberry milk, 7 large lattes, 9 cokes, 3 bottles of Lucozade, 2 boxes of slap chips, a tub of soup, a bowl of oats and a Gu. Well done - it really feels as if we were there with you.Really retiring? ?